Are you suffering from constant body pains, becoming easily agitated, frustrated, and moody? Having difficulty sleeping, low energy levels and difficulty relaxing? Is your judgement clouded, constantly worrying about things, headaches, tense muscles, digestive issues, frequent illness? These are just some of the symptoms a person may have when under Stress. With the fast pace development of modern technology and society, this also brings along with it major health concerns for a persons wellbeing. One of the major impacts to a persons health is Stress. There are so many possible stressors in a persons daily life. How we deal with these can dictate our health, mentally, emotionally and physically. For people who feel overwhelmed by daily life, your not alone. There are ways to help you to cope with what life brings you. By working to make your body more resilient and robust, you can manage daily life more easily. Anxiety can control your life. Not dealing with it can limit what you can do and even prevent you from taking opportunities that may have been presented to you. Having suffered with Anxiety for nearly 24 years, I know how this feels. We don’t want people to know that we are anxious, because it may change how people think about us or even make us more anxious, thats how it was for me. We take the options that is easiest, avoid contact with people, don’t stand out from the crowd, avoid situations that can draw attention to you, always look for the safest place so you can make a quick exit. Your mind constantly racing about every possible scenario you could get anxious in, feeling panic or your body starts sweating, and this is even before you put yourself in that situation. Like a job meeting, bumping into somebody who wants to chat with you, on a crowed bus or train. The list can go on and on, day after day. Thats until you do something about it and take control of your life back. This is what I had to do or my whole life would have been limited and I didn’t want to live life like that any longer. 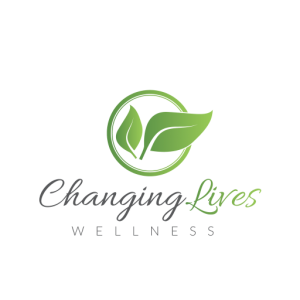 The ChangingLives programme is a multi disciplinary approach to enhancing how a person functions, helping to transform their life. Reducing stress, relieving anxiety, easing the symptoms of depression, these are just some of the positive benefits of the programme. The programme achieves this by combining state of the art Neurofeedback Brain training, Kinesiology and NES Health BioEnergetics Wellness System. By using a whole body approach, the person is achieving positive benefits in many areas of their life. Click here to read more. Having suffered with anxiety for nearly 24 years, since I was about 13-14 years old, I know how hard life can be for people at times. When you have something that is controlling your life and you feel you have no control over it, where or who do your turn to for help. I never told anybody about my anxiety for years, I just bottled it up and suffered in silence. My anxiety was a social anxiety. Everywhere I interacted with people, or even though I would have the possibility of interacting with people, fight or flight mode kicked in, panic, the fear of sweating, how do I get out of this situation, day after day. It never left me. I just wanted to be normal like everybody else. But I wasn’t, why wasn’t I? what had I done to be suffering like this? As a teen living everyday like this, I hated my life. I only interacted with people when I had to. I withdrew from society in a way. This continues through out my teens, on into my 20’s and 30’s. I though I would grow out of it, or I hoped I would, but I didn’t. Not until I discovered Kinesiology. Over the year I had tried many of the mainstream types of therapies. None of these worked for me. Kinesiology was the 1st thing for me that started to give me relief from anxiety. I loved it. I loved it so much, I trained up as a Kinesiologist and opened my clinic in August 2014. I love helping people and all things about health, its where my passion is. There are so many area’s to Kinesiology you could never stop learning. I continue training in different kinesiology techniques, so I can advance my skills to help my clients…..and help myself. 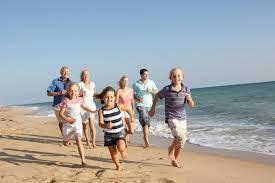 I believe a person’s most important asset in their life is their good health. When a person is in good health in their body, mind and soul, they can achieve more joy in life. I believe good health is your main asset to achieving that. I have now gone from not wanting to talk to a person because of the fear of anxiety, to doing into talks in front of large audiences about the work I do. And I really enjoy doing it. I work with people of all ages, from little babies to the elderly. I believe everybody has the ability within them to live a life of happiness and joy. In 2015 I came across Neurofeedback brain training and it was like the icing on the cake for me with regards to my anxiety. After several sessions of Neurofeedback, I was putting myself in situations I was not doing before. I had more confidence in my abilities and myself. I was thinking clearer and calmer in situation I would not have been before. I was so impressed I brought Neurofeedback into my clinic. I’m loving my life right now, I am in a great place in my life, a beautiful partner, Brighid and expecting our 1st child in a few months time. We live in a beautiful quite part of East Cork, and this is where my clinic is located. The ChangingLives programme combines all the different modalities that have helped me with anxiety in my life. The programme helps relieve the symptoms of Stress, Anxiety, Depression, Epilepsy, Post Traumatic Stress Disorder, and many more concerns.